Guess Salman Khan's Role In His New Marathi Film Shivaji! Home BOLLYWOOD Guess Salman Khan’s Role In His New Marathi Film Shivaji! Guess Salman Khan’s Role In His New Marathi Film Shivaji! 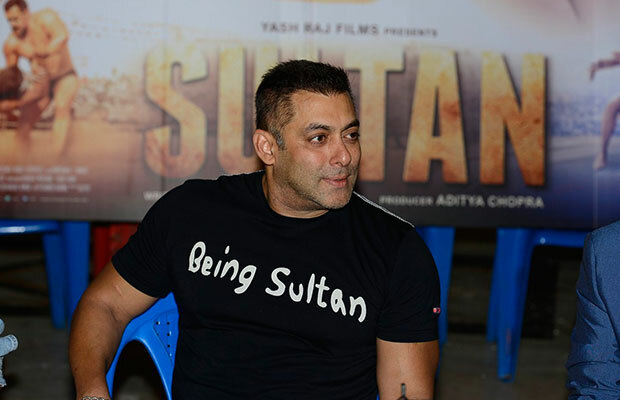 Salman Khan‘s latest release Sultan has achieved tremendous success at the box-office. The film broke a long list of records and is still running extremely well a week after its release. The actor visited many television sets for the promotions of the film- both Hindi and regional. As we had reported earlier, the actor also visited the sets of a reputed Marathi comedy reality show Chala Hawa Yeu Dya. On the show, the actor received a heart-warming welcome from everyone on the sets. The actor on a joking note said on the show that he would surely be a part of a Marathi movie soon. Well, seems like Salman wasn’t really joking and has indeed taken his commitment seriously. Well, the news is that Salman Khan really is roped in to play a role in an upcoming Marathi Film. The film, directed by well known Marathi Director Ravi Jadhav is based on the life of Maratha ruler Shivaji and is titled Chhatrapati Shivaji. The title role of the great Maratha ruler will be played by Riteish Deshmukh. Incidentally, this is not the first time Salman will be working with Riteish in a Marathi film. Salman also had made a guest appearance in Riteish Deshmukh’s superhit Marathi movie ‘Lai Bhaari’ which had released in 2014. Any guesses what role he will be playing?